The nature of most of these demonstrates fairly clearly, I think, the rationality or lack of it of some of the people whose opinion is currently being used and quoted by the media and by government politicians. Most significantly, with only a couple of exceptions, nobody has actually been able to challenge the actual facts and conclusions stated. One journalist mounted a reasoned counter-argument, but it was fairly easily answered – you can read the exchange here. The statistician who devised HSMRs, Professor Jarman, resorted to a defence on Twitter of the ‘avoidable death’ figures (which even he told the Francis inquiry could not be inferred from the statistics) that involved multiplying the single ‘excess death’ possibly identified by the case note review of 50 deaths into the total number of deaths in the hospital. To do this meant ignoring the fact that most/all of the questionable deaths were already concentrated into the case-note review group – an error that no capable statistician could possibly make without realising it. What did come out of the discussions that have followed the articles was a fairly consistent thread that people did not really grasp why DFI’s practice of ‘rebasing’ HSMRs every year to a new level and still calling that ‘100’ was a problem. That’s not surprising, since it’s complex enough to be difficult to grasp. So I thought I’d provide another illustration to help clarify why it’s a problem. Imagine a tournament organised by a kung-fu martial arts discipline, which brings together the world’s top practitioners of the martial art. For the sake of argument, let’s say the top 101 masters are invited. Those martial artists are tested for various attributes – strength, speed, precision and so on – and then ranked, from 1st to 101st. Martial artist no 51 is the ‘average’ or mean Master. He is worse than 50 of the 101 – and better than 50 others. But he’s still a Master – better than the remaining 7 billion or so people in the world at his particular skill. Now, let’s say he comes back next year having worked hard on his speed. When the 101 masters are re-assessed, he has moved up by 10 places, to 41. But there are still exactly 50 masters ranked more highly than the new number 50, and 50 who are ranked lower. At least 10 people saw their ranking slip because of the improved performance of our former number 51. Most importantly, at least 1 has fallen into the ‘worst’ 50 because the other guy moved up. And all 101 are still masters. 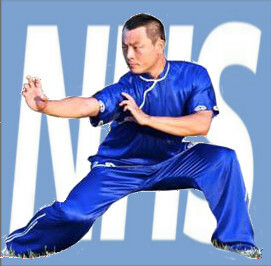 Am I saying that every NHS hospital is a world-class master? No, of course not. But the NHS is a world-class health service. So an average is a very flawed means of measuring quality, because all the participants might be excellent – but some will rank a bit more highly. For measuring mortality, it’s a similar story – because every hospital in the world will have avoidable deaths. Some might have more, but for perfectly valid reasons (e.g. the population they serve is very old, or poor). And, because one or more hospitals might improve between one measurement and the next, a hospital that is just as good as it was might fall down the ‘table’. It might even be doing better than it was – but others have improved slightly more. ‘The Department [of Health] is aware’ that HSMRs can be used (at best) as a prompt to go and check stuff – and that ‘HSMR data alone does not demonstrate poor care’. Yet, ‘weirdly’, that has in no way prevented Jeremy Hunt, David Cameron and other ministers, not to mention the right-wing press, from proclaiming ‘THOUSANDS OF AVOIDABLE DEATHS’ to talk down the NHS and to attack Labour. Just why are they doing that? Plainly it has absolutely nothing to do with saving patients or improving the NHS. So there must be other motives. Hmmmm, wonder what those could be? ← Media & Jarman claim 20k avoidable NHS deaths. Why it’s nonsense. I worked at Stafford for 4 years so I know that what you have written about Stafford was accurate. I also know Sandra from when I worked there and she worked incredibly hard. Thank you – that’s great to hear. Hope you’re enjoying whatever you’re doing now! Had a journo from BBC East on the phone today to find out more because 2 of his local hospitals are being investigated for high HSMRs similar to Mid Staffs’. Hopefully the national bunch will follow..
You are aware, of course, that several high profile GMC cases are up-coming. Have you also noticed that the GMC has yet to declare what exactly their case is? Have you shared your blogs with the medical defence organisations who are limbering up to robustly defend these individuals (Medical Protection Society, Medical Defence Union etc)? With any luck they have seen them but it would be good to know that. If sufficient hand grenades are thrown in by the defence(s), it could even turn the tables in favour of the survival of acute services in Stafford (and hence the NHS more widely). Another thought: who is it that decides on the staffing levels on acute medical and elderly care wards? It would be easy to suppose it is the Trust. Well that’s true but where does the income come from to support that? PBR. Who sets the tariff? HMG. So, if your local wards have staff run ragged it could be rotten staff (actually very unusual), could be lack of training (after all some are, by definition, untrained though that doesn’t mean they don’t care – many do, very deeply), could be management incompetence (possible) or it could be that the tariffs do not, in fact, support the level of care that is appropriate to the situation. And as I say, who decides that? Great points. Tariffs are a major problem – because they can vary so much for almost identical conditions/codes, must be a nightmare to plan ahead when you don’t know what you’re going to be treating for the next 12 months. The point on medical defence is really interesting – I didn’t know about these organisations. I’ll look them up tomorrow, so if you have other names that ‘etc’ covers, please let me know them! The etc was a bit careless as the doctors are almost certainly covered by one of the big two I mentioned (nurses by the RCN wearing one of their many hats). There are other, smaller organisations eg a Scottish one (MDU of Scotland or something like that), or of course various private legal organisations. How much the BMA, being equivalent to the RCN, is involved in such cases, I have no idea. The MPS/MDU’s main purpose (and why doctors subscribe during their working lives) is protection against being sued. The MPS/MDU are unequivocally on the doctor’s side and this, in itself, can help them to not go completely off the rails when exposed to these very stressful situations (most are desperate to do a good job so these things really go to the heart). The MPS/MDU will generally do what is best and fair ie if there has been negligence, they will support the doctor but offer a reasonable settlement. If they don’t think so then they will robustly defend the case, going to court if necessary. They extend their role to general medico-legal advice to doctors, advice on inquests and also weighing in on points of principle. It is routine for them to involve themselves if a doctor is hauled in front of the GMC (metaphorically or actually) because heavy moral support is usually required (the GMC processes are arcane, very long-winded and often rather random). The lawyers who represent the doctors can get very annoyed if they smell a witch hunt – as they have done with Mid Staffs – over 40 doctors from one Trust subject to full, and sometimes multiple investigations on the basis of, in some cases, wide-ranging, anonymous accusations. And hey, I don’t think the GMC is looking forward to facing a bunch of very annoyed and well informed lawyers. Thanks – I’m glad they exist and if I can find some contact details I’ll drop them some links to my articles in case they find them helpful!